Alstom has begun testing the first of 12 next-generation EVO Pendolino trains being built for Italian open access operator Nuovo Trasporto Viaggiatori (NTV). Built in Savigliano, the test train, which will become part of NTV’s Italo fleet, carried out its first trial run on the Milan-Bologna line on June 28. The trains require approval from Italy’s rail safety agency, ANSF, before they begin to go into service in early 2018. NTV said an EVO train is due to go on display in October at Expo Ferroviaria 2017, which is being held in Milan. The EVO, which will be 187 metres long and be made up of seven cars, will have a maximum operating speed of 250 km/h. 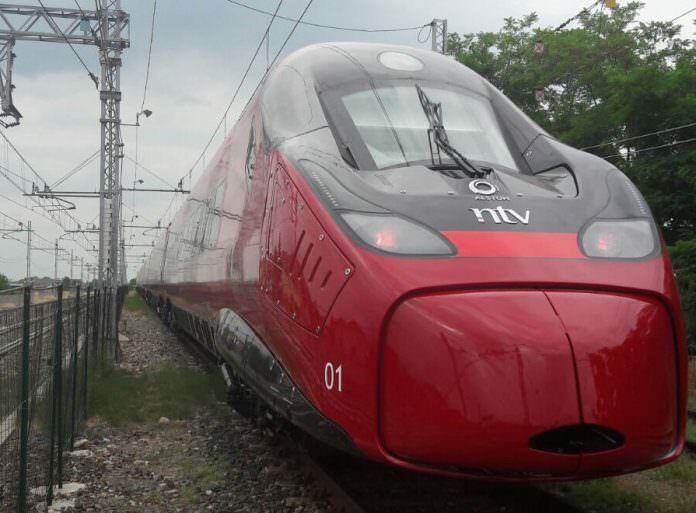 The Pendolinos will add to NTV’s current fleet of 25 AGV high-speed trains – some of which were also built in Savigliano – and allow the operator to increase the number of services on its main routes and add new services to its network, like Turin to Venice.